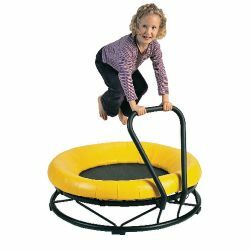 Functionally correct and beautifully designed trampoline suitable for children. The sloped protective cushion with high rear edge yields utmost protection during play. Reinforced spring sheet suspended in steel springs. Foam-covered handle included. 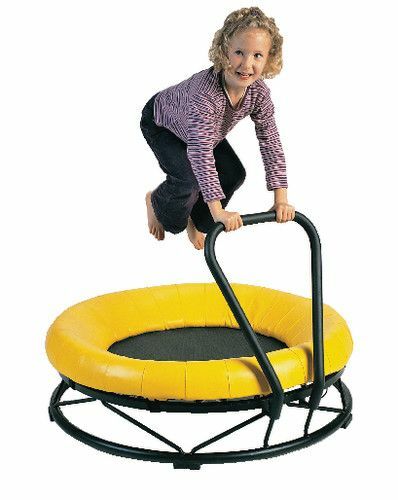 Supports children up to 120 lbs. Additional shipping charges apply.